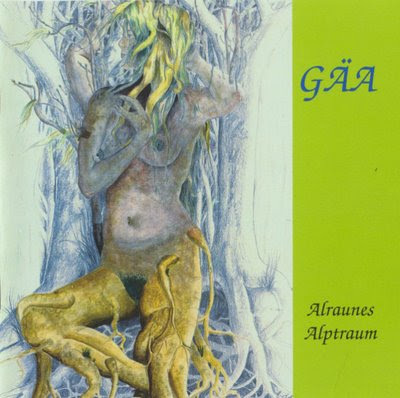 Gäa from the German state of Saarland have become quite known in collectors’ circles thanks to their LP "Auf der Bahn zum Uranus” from 1974. In early 1975 they recorded three tracks for a, however, unfinished second album. They are simply brilliant and show how mature and inventive the band was at that time. The tracks have been rediscovered only recently and form the heart and major part of the CD, which also contains four minor bonus tracks from the 80s. Although these tracks are no longer progressive in the strict sense, they have been added for the sake of completeness and because there was time left. The cover artwork is again by Eduard Bell and shows the Alruna, a legendary earth spirit from Germanic mythology and a rough counterpart to Gäa, the ancient Greek goddess of the Earth.